Deinked pulp from waste paper such as old newspapers (ONP), old magazines (OMG), and mixed office waste (MOW) has become a principal source of raw material for making paper in the U.S. and Europe, with significant growth in China and other Asian countries.1 In India, the share of waste paper used as raw material for the paper industry is about 47 percent.2 Many newsprint, tissue, and paper-board grades are made from 100 percent deinked pulp while a number of other grades, such as lightweight-coated paper, now contain a significant amount. The deinking process for the effective removal of ink from waste paper, has evolved over years. 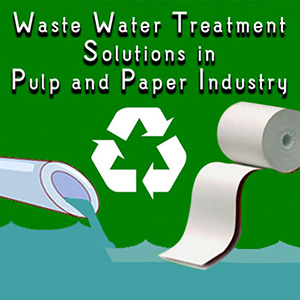 It is typically carried out by converting the waste paper to a pulp and then separating ink par-ticles and other impurities from the pulp fiber. In flotation deink-ing, the most common types of surfactants used are either fatty acid soaps, non-ionic surfactants such as alkoxylates, or blends of these two. Fatty acid soaps are well-known flotation agents used in both mineral and non-mineral applications and are still the dominant surfactants used in the flotation deinking of ONP and OMG. However, they are relatively weak flotation collectors and are dependent on calcium to work properly in flotation deinking. The non-ionic surfactants such as fatty acid ethoxylates, nonyl-phenol ethoxylates, and alkoxylated polyesters are stronger col-lectors but have the disadvantage of higher cost, poorer selectiv-ity and in some cases environmental and safety issues.3 In addi-tion, the deinking process is further complicated by the variability in the quality of waste paper that can create additional demands on the efficacy of these surfactants. Due to the limitations of current deinking surfactants, a more efficient and cost effective process or reagent was required. To this end, Thiele Kaolin Company developed DEKA 2000, a novel deinking reagent composed of modified kaolin and a surfactant specifically formulated to maximize the effect of this modified kaolin in flotation deinking. The very fine particle size of ink, dirt, and stickies particles is one of the main causes for their poor floatability in flotation deinking. However, due to the hydrophobicity and relatively lar-ger particle size of the modified kaolin, the DEKA 2000 deinking reagent acts as a collector for these fine particles thus providing more efficient separation and removal of the ink, dirt, and stickies particles from the waste papers (Figure 1). DEKA 2000 was continuously tested at various paper recycling mills processing different grades of waste papers, over a period of one to four months. The results presented below are the aver-age values obtained. A North American recycled paper mill produces office paper from 70 percent ther-momechanical pulp and 30 percent recycled newsprint pulp. The recycled newsprint is obtained from deinking a furnish blend containing 80 percent ONP and 20 percent OMG. The mill uses a non-ionic synthetic surfactant as a deinking reagent while the rest of the deinking chemistry is similar to standard alkaline flotation chemistry (i.e., Na silicate, caustic and phosphate-based chelant added). The synthetic surfactant (3 kg/ton) was replaced by DEKA 2000 (2.5 kg/ton), which was added in the pulper with the goal of in-creasing yield, reducing costs and improving stickies removal. Results obtained (table below) can be summarized as follows. Values given are after flotation only. Brightness after flotation increased by 1 point which can be observed visually (Figure 2). ERIC dirt count reduction improved by as much as 10 points. Stickies removal significantly improved which resulted in im-proved machine runnability with less picks. Flotation yield increased by as much as 15 points, signifi-cantly reducing cost. Case Study 2: Recycled Newsprint Paper Mill. 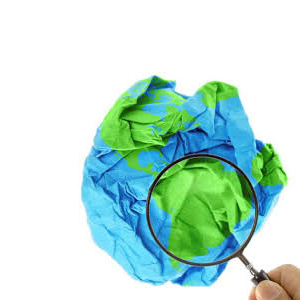 A North American recycled paper mill produces 100 percent newsprint from a blend of about 70 percent OMG and 30 percent ONP, due to the poor quality of the waste paper. A non-ionic synthetic surfactant is used as the deinking reagent, with a near-neutral deinking chemistry (i.e., only caustic is added to the pulper to obtain a pH of about 8). Goals include increasing the amount of ONP in their furnish, and thus the cost, and improving stickies removal due to the high amount of OMG in the furnish. Brightness increased from +6.8 to as high as +10. Amount of ONP that can be used in the feed blend increased from 30 percent to 45 percent resulting in substantial cost sav-ings. Stickies removal improved significantly. The paper machine ran smoother with no breaks. And the interval between cleaning the caliper sensor improved from every 40 minutes to about twice a shift. Case Study 3: Recycled Paper Board Mill (White Top Liner). 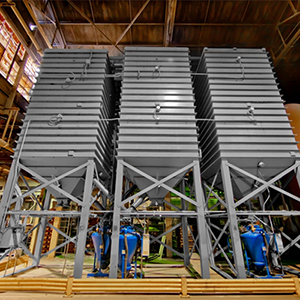 A recycled paper mill in North America produces recycled paper board with a top liner made from waste paper, mainly unprinted sorted white ledger (SWL), mill broke, and other pre-consumer unprinted waste. The mill uses a near-neutral deinking chemistry with a small amount of non-ionic surfactant (0.5 kg/ton) when needed for foaming. The mill wants to be able to use poorer furnish, specifically by adding post-consumer/ printed waste paper such as SWL, MOW, and coated white paper. Results obtained (table below) can be summarized as follows. Values given are overall from pulper to final deinked pulp. Brightness increased by >5 points. Dirt count was significantly lowered. Overall costs were reduced to due to increase in the amount of printed waste paper in the furnish. Case Study 4: Recycled Office Paper Mill. A recycled paper mill in North America produces office paper, envelopes and uncoated offset paper. 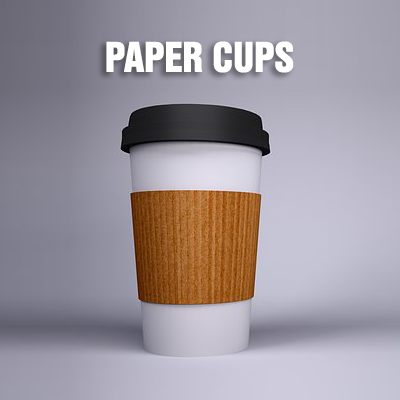 It recycles poly-coated white board (such as waste coffee cups, ice cream containers, frozen food boxes, etc. ), magazines, coated book, undelivered mail, and catalogs. The poly coating is separated from the fiber using high consistency pulping, followed by a series of perforated and slotted screens with progressively smaller hole and slot open-ings. An enzyme-based deinking reagent is added at the pulper at a dosage rate of 3.75 kg/ton with a standard alkaline chemistry. The mill’s objective is to reduce cost by replacing the more ex-pensive enzyme-based deinking reagent and using a poorer fur-nish. Replacing the enzyme-based reagent allowed the use of 15 per-cent flexo-printed paper in the feed furnish. Dirt count was lower and color improved. Dr. Cesar Basilio is Group Leader for Thiele Kaolin Company and can be reached at: cesar.basilio@thielekaolin.com. 1. Grossmann, H., Norcross, Georgia, 1-8 (2007. 3. Venditti, R.A., Rojas, O.J., Morris, H., Tucker, J., Spence, K., Austin, C. and Castillo, L.G., Norcross, Georgia, 139-150 (2007). 4. Fuerstenau, D., Vol. 1, New York, 669 (1980). Thank you for your interest in publishing article with Packaging-Labelling. Our client success team member will get in touch with you shortly to take this ahead. you're here, check out our informative and insightful article. Happy Surfing!